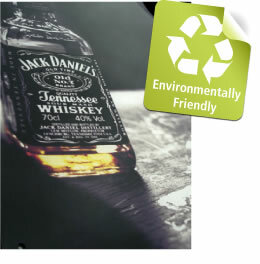 Environmentally friendly and exuding quality, glass is an exceptional display and architectual material. Printing on the rear of the glass gives a sharp finish ideal for photographic and contemporary images. Toughened glass can be used in public places where safety is a concern without compromising the quality of finish. The surface finish is scratch resistant and easy to clean making it a low maintenance option.